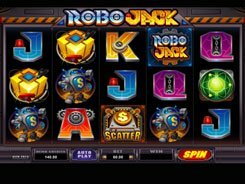 Robo Jack is a 5-reel slot with 243 ways to win, so winning combinations are created by hitting identical symbols on adjacent reels starting from the leftmost reel. The slot is themed around robots, and the symbols used in the game look like some bulky parts in a Lego construction kit. The minimum and maximum bets are $0.3 and $75 per spin. Robo Jack has a wild, a scatter and five modes of free spin rounds, each offering a unique set of features that jazz up the gameplay and boost your chances of earning high payouts. A wild symbol (the Robo Jack logo) is the biggest payer awarding up to 2500 coins. 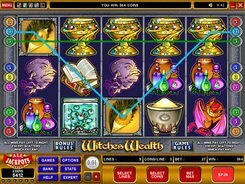 The free spins are triggered by three or more scatters. After the feature has been activated, you are to pick one of the five tanks that will reveal a robot with unique bonus perks to benefit from in the free spins round. 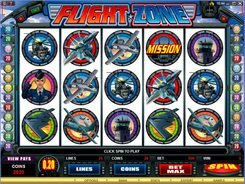 Besides, each robot gives you a different number of free spins. 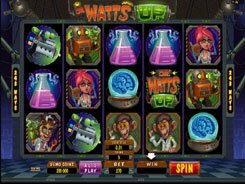 You can be awarded up to 65 free spins at up to a x10 multiplier, extra wilds, scatter prizes, wild reels and more. The maximum prize you can win in the slot is 360,000 coins.